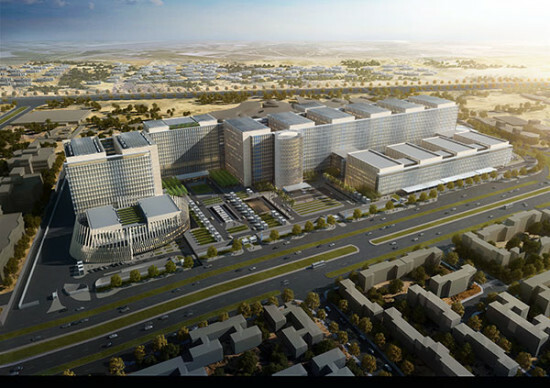 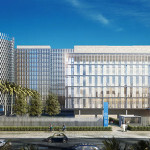 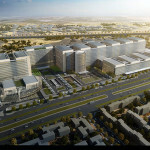 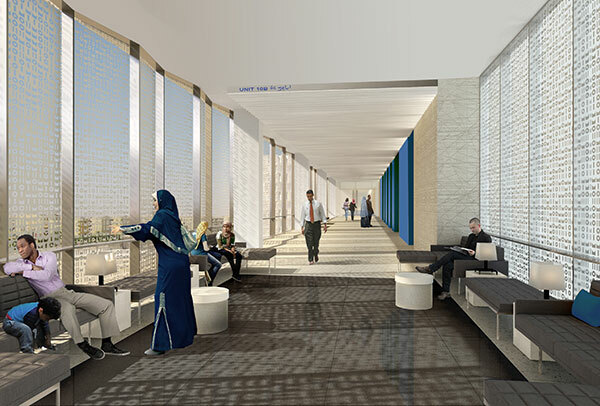 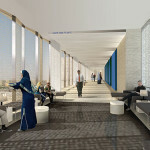 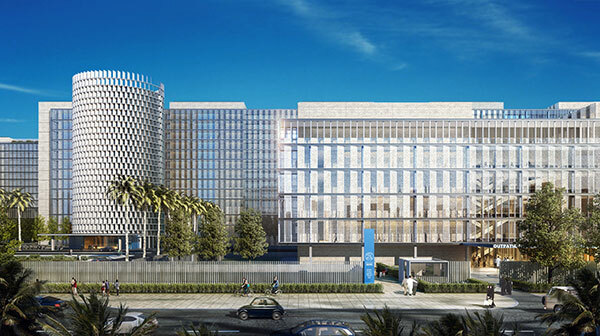 Looking to expand its footprint across 35 acres outside Cairo, Egypt’s National Cancer Institute has hired Skidmore Owings & Merrill to design and plan nine million square feet of healthcare space for an “international nexus of cancer research, education, and discourse” that is targeting LEED Gold. Situated in Giza’s Sheikh Zayed City, approximately 17 miles west of central Cairo, the sprawling new cancer center is organized around modules and separate circulation spines for staff and patients. 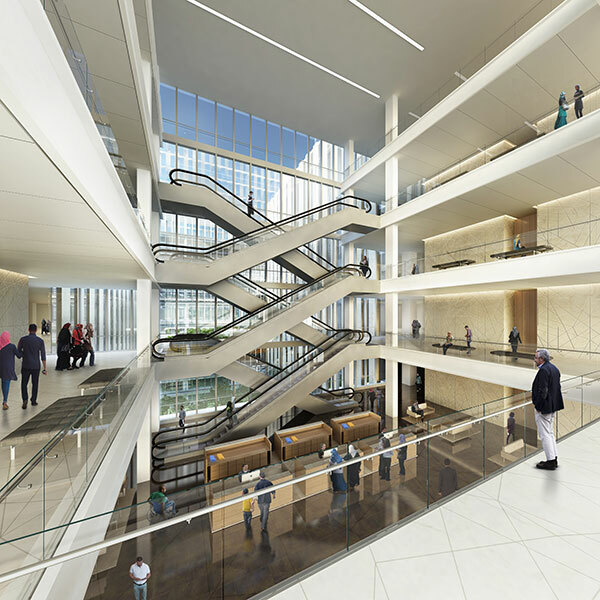 The whole facility is undergirded by a massive support plinth sitting atop six levels below grade. 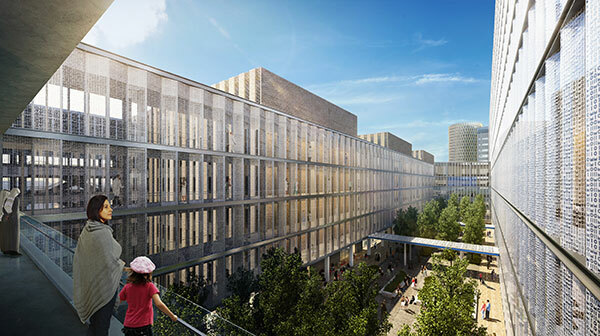 Above that subterranean campus, six towers for inpatients shade outdoor courtyards, while four more comprise the outpatient facility. Both complexes connect to a “multilevel diagnostic and treatment platform” with imaging equipment, surgery centers and all kinds of treatment. 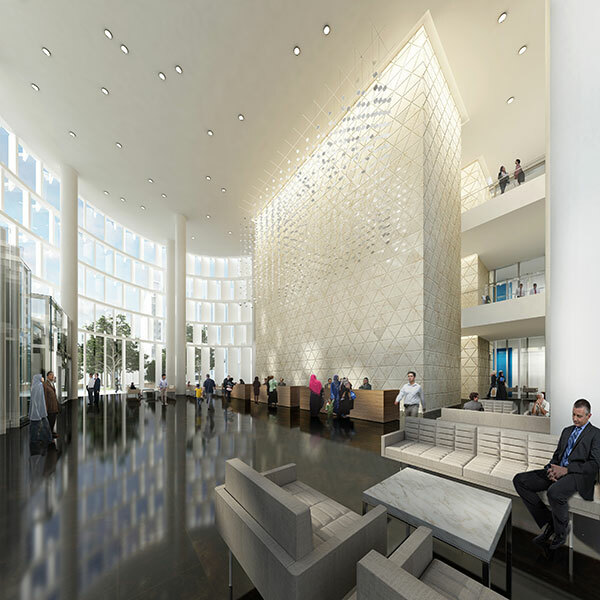 The center includes ample space for training new medical professionals, including a 1,000-bed teaching hospital and research center, nursing and technician training institutes and a scientific center. 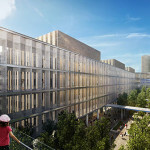 Despite its mammoth size, the 200-acre campus is intended to feel cohesive, according to SOM’s project description, because of its highly organized layout.